is the MOST COMPREHENSIVE and Easy-To-Use Travel Data Base Covering the San Francisco Bay Area and north to the Oregon Border. Driving Directions: From Hwy 1, turn on North Harbor Drive. Go to the bottom of the hill. Straight ahead is the loading dock for TREK II and AMBUSH and the little seafood store with seasonal cauldrons of live crab and ocean fish. 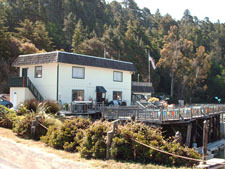 The Noyo Fishing Center is to your right and the closed Carine's Restaurant is on your left side, at the bottom of the hill. Take a right at the hair pin turn and watch for pedistrians, fork lifts and heavy trucks. Past Carine's is the charter boat office for TELSTAR and the SAMURAI on the left behind the SEA PAL COVE RESTAURANT. Parking is in front or in the big parking lot to the east. You can board behind the cafe with outdoor dining area. This is a working harbor with lots of activity and the excitment of circling seagulls, wharf cats, sea lions and the anticipation of the "big catch". 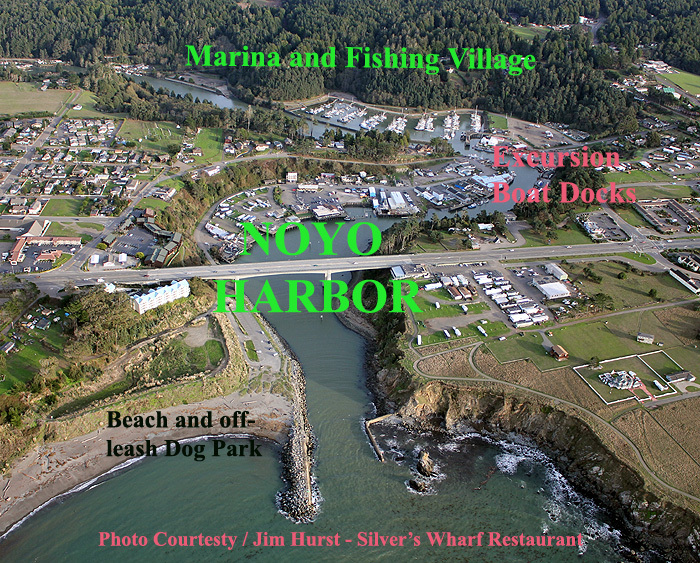 Those seeking to experience the open sea, whale watching or sport fishing can rest assured that one of the sport fishing boats in Fort Bragg's Noyo Harbor can accommodate them. 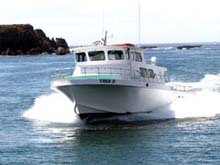 Mendocino Coast skippers and boat owners will take you where the fish are. 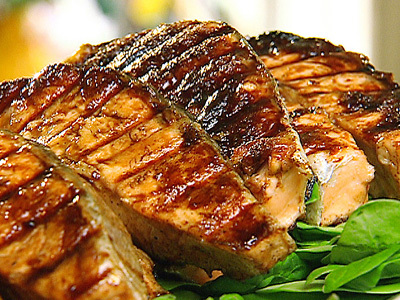 They can also take you to the best fishing, bird and whale watching sites. 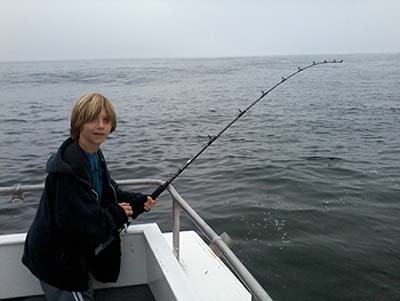 Helpful deck hands will help the novice fisherman get started. 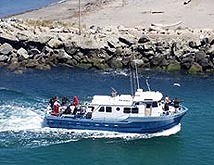 Sightseers often get close enough to get a good picture of the seasonally migrating California Grey Whales or perhaps even watch a great white shark hunt an elephant seal off the coastal islands and sea rocks. There is always fishing (weather permitting) along the Cordell Banks, one of the richest marine eco-systems on the West Coast. Those chartering a charter boat in Noyo Harbor will assemble early from 5:30am to 6:30am for departure at 7am from the docks in the Noyo Harbor fishing village. Your Captain and crew will want to be sure everyone is prepared whether sightseeing or fishing. Everything you need to purchase is in the nearby general stores on the north and south shore of the Noyo River as well as loads of fishing tips from experts. Fishing licenses, every type of bait you can imagine - squid, anchovies, herring, night crawlers, grass shrimp, ghost shrimp, pile worms, crab bait and pink shrimp. 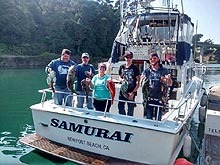 The happy lad to the right is Dustin Jorden, from Placerville, California who had never dined on salmon, let alone caught a wild Pacific king salmon. The day skipper Wayne Gilliland took this photo, Dustin caught a 30 lb wild king salmon from the Trek II. Dustin first exclaimed "YAY! "; then began thinking "how heavy it was" and finally reeled it in. At the time Dustin was only 11 1/2 years old and since has grown up. Father Dan Jorden and friend Austen Stephenson were real proud of Dustin, but eagerly waiting to grill up some of those delicious king salmon steaks in their hometown of Placerville. Why don't you bring your kids for such an ocean experience. The ritual is as old as time since the first fish walked up on shore and said "whats for dinner." Across the harbor at TOMMY'S MARINE is a large assortment of tackle for surf or boat fishing and crab pots. Rubber boats, fuel tanks, fuel lines, hardware and fittings are stocked. Last minute needs for your charter include wind breakers, snack food and beverages. There is also a giftshop in the store to purchase a memory of your visit to Noyo Harbor. There is a tremendous joy in seeing a whale close-up in its natural environment or catching and dining on a big fish which you caught for yourself or your loved ones! Lodging is in the harbor at the Anchor Lodge next to SILVER'S WHARF RESTAURANT and you can dine there or at the MAYAN RESTAURANT, D'JANGOS (at the end of the harbor) and of course SEA PAL COVE RESTAURANT. 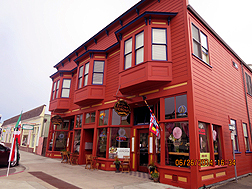 On the southside of the harbor and up river is DOLPHIN ISLE MARINA where you can enjoy breakfast and lunch indoors or out on the deck. This is a good spot for RV parking and Tent Camping. Topside on State Highway One is the drive by A-FRAME COFFEE HOUSE, Q's BBQ, and the elegant NOYO POINT RESTAURANT and BAR. 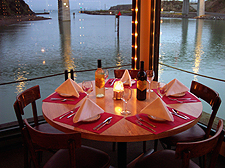 Nearby are dog parks at NOYO HEADLANDS PARK and the FAMOUS GLASS BEACH. Conscious and loving parents are helping their children deal with NATURE DEFFICET DISORDER by balancing their overuse of technology with time spent in the great outdoors and wiring them up to MOTHER NATURE.